Three areas were improved as part of this effort. The first area includes remodeling of locker rooms to accommodate a larger team “chalk-talk” area, additional ADA-accessible toilet fixtures and individual shower areas. 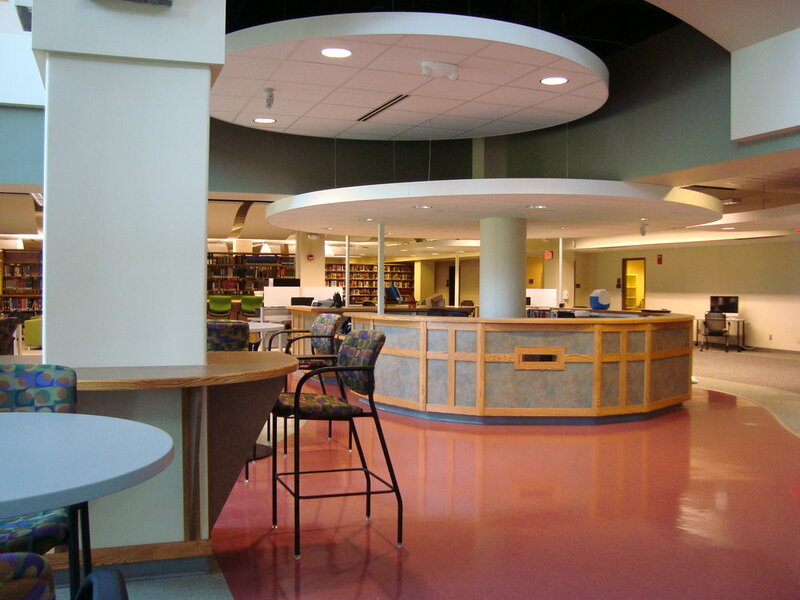 The second area is a remodel of the first floor existing library to embrace a Library Information Commons concept. 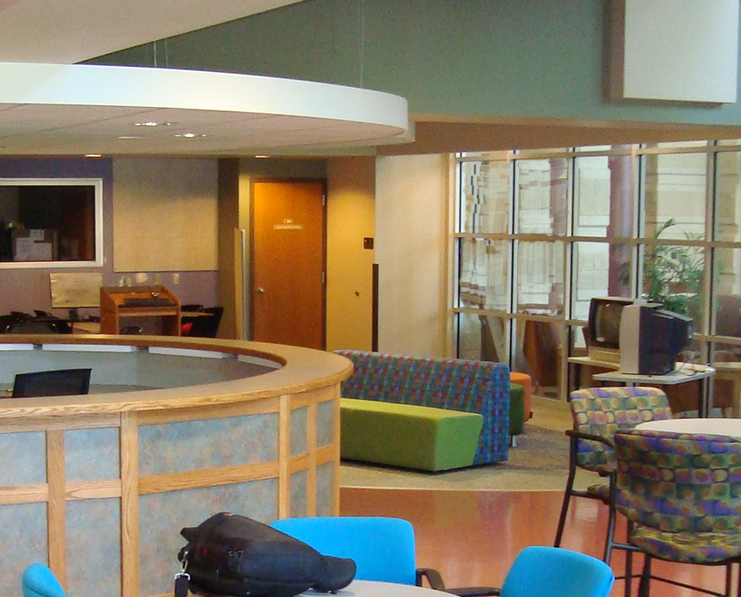 It provides students with a more flexible environment responding to current multi-media research options, different (and changing) individual and group study needs, improved circulation and research staff desk area, and integrates a small coffee-bar area. Finally, the project addresses a pressing need for additional office space by converting a number of small, under-utilized spaces into staff offices.